Thank you for a fascinating post (and I’ll look to obtain Art Loux’s book as well). 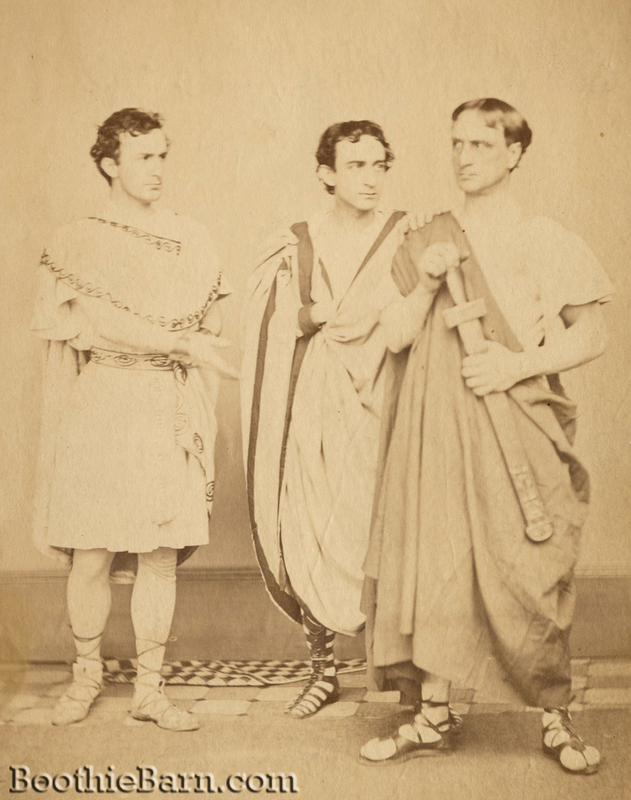 I love that Booth brothers Julius Caesar photo from November 1864. 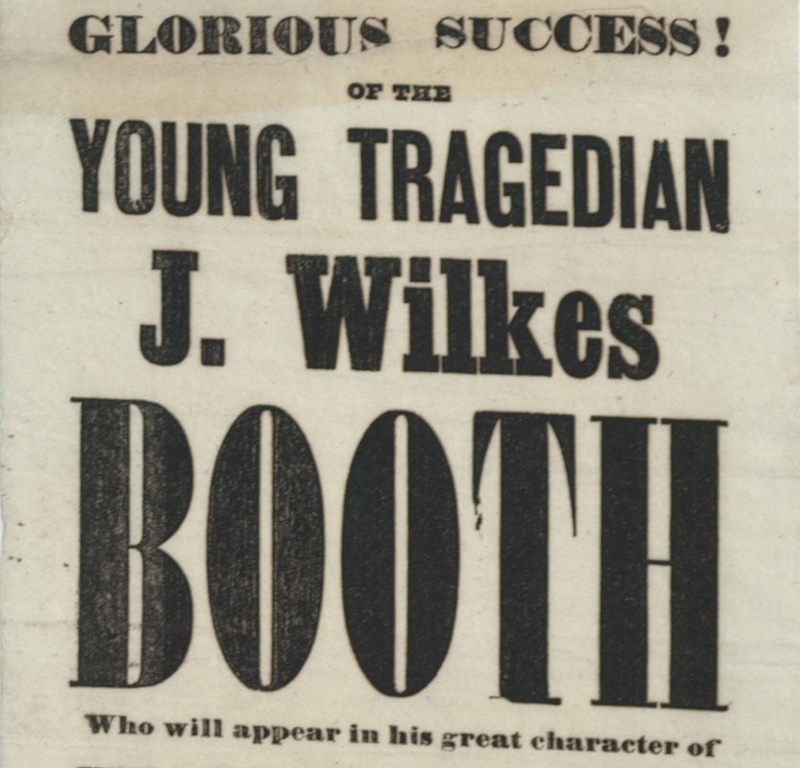 Junius Jr. was Caesar, Edwin was Brutus, and John Wilkes played Mark Antony. Wish I could remember the specific source, but I’ve read somewhere that matinee idol JW had his toga shortened so he could show off his shapely calves. Happy 4th Dave and everyone! Booth’s nickname (at least as a youth) was Billy Bowlegs, so I’m not sure he was proud of his legs. Dave, thank you for taking the time to construct this concise and easy to comprehend timeline — with nods to Art, Deidre, and Gordon Samples, whose work inspired you. Art Loux’s book is a masterpiece and highly recommended. As Laurie pointed out, as a child Booth’s legs were noticeable bow legged which earned him his nickname. As he got older, however, his stature and posture improved, negating his childhood “deformity”. I would not be surprised if he cut his toga short to show off his athletic features. Is the Shakespeare statue still in Central Park? If not, what happened to it? I was experiencing some technical difficulties with the hyperlinks to the maps and so I took the post down briefly to try a workaround. I’m not sure if I’ve been successful, but I’ve put the post back up now. Let me know if you still can’t see it. If anyone else reads this, I’m wondering if there has been any improvement on mobile / tablets that have the Google Maps app. 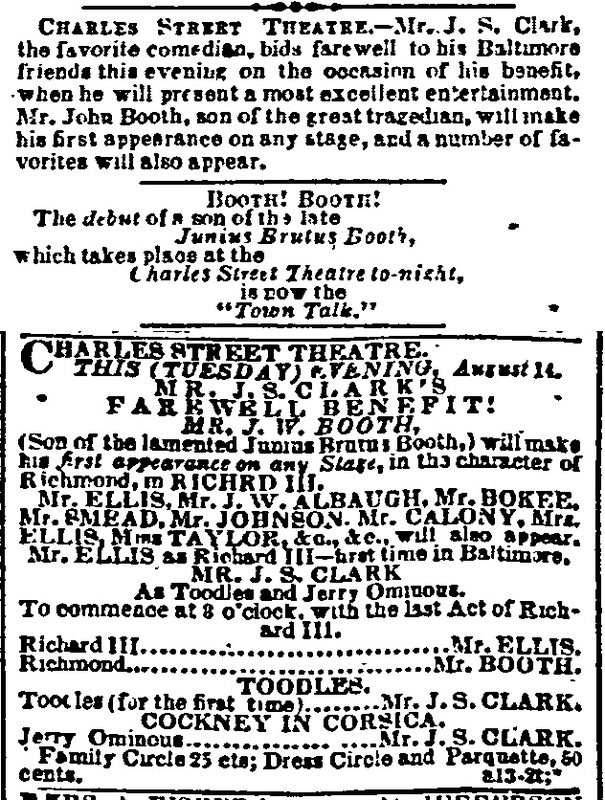 Do the hyperlinked theater names open the map properly with it centered on the corresponding theater? Thank you Dave for such a fascinating read.. Thank you so much. I enjoy reading your historical articles. Wonderful 😏more sites to visit! This post is Amazing, and all the map links worked. I can’t truly imagine, all the hours of work! Fascinating! I see that I live very near Luther Byron Baker’s grave, so I will have to pay him a visit soon. Great posting. You always succeed in distracting me from official duties. Also it was nice to see you on the 4th of July. THIS POST IS AMAZING!! THANKS FOR ALL THE INFORMATIOM! GREAT JOB!! 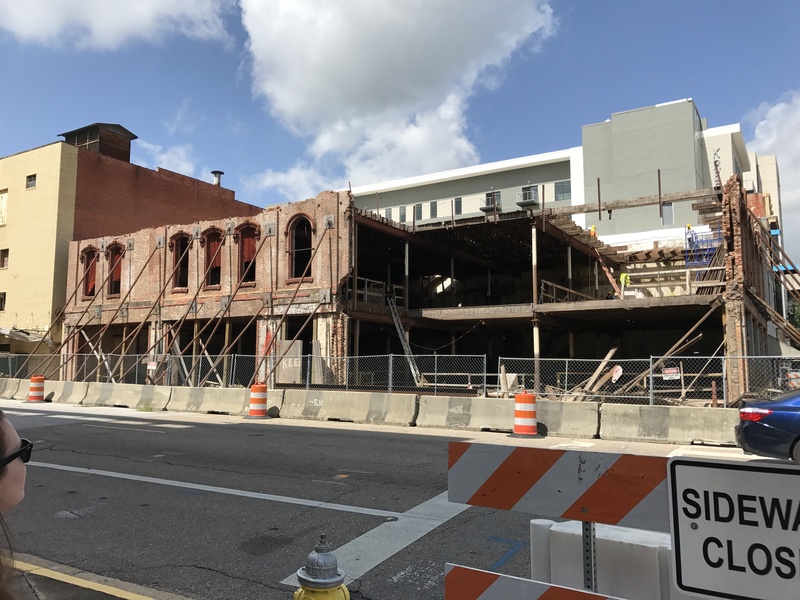 That’s a shame that the Montgomery Theater did not have a better fate. I’d love to have a brick or two from that old building.